The class usually lasts anywhere from 2-3 hours depending on how chatty everyone is and how many questions there are. I cover several different stores, their policies, what type of coupons they accept, how to stack, and several programs to add to your knowledge of savings, free stuff or rewards for things you already do. I can teach to you and your friends at your (non-smoking, please) home within a reasonable driving distance. I like to have WIFI access and a big screen TV that I can hook my laptop to for everyone to be able to see what I am doing and follow along. Therefore, your friends are encouraged to bring their laptops. I ask $5 per person as long as there are at least 10 people attending. Less than 10 people, the cost will be $10 per person. This fee is to cover my gas and/or sitter costs. These fees are for classes within St. Tammany/Washington Parish. If you live outside St. Tammany, let me know where you are when you contact me and I will let you know if the fee needs to be adjusted. There is no minimum or maximum number of attendees. I can also teach to your MOMS group, Church Ladies’ group, etc. If you would like to HOST or ATTEND a coupon class please email me with your information. Please include in your email the following info: Location of class, expected number of attendants, and if you are wanting weekend or weekday, day or night. (I do not teach on Sundays and I prefer not to schedule for Friday or Saturday nights. People tend to not show up.) If you have a date in mind, include that, too. You can check my calendar located on the top bar of the blog for availability. I will get back to you as soon as possible. them to their maximum potential. Plus, often I didn’t even remember to use them. following your blog has become my new hobby. Thank you Northshore Mama. from Amazon for free. -Cheryl S.
we can get the best deals! As a mother of 3, I am so grateful! shopping trip I have had in a long time! -Kaci C.
I LOVE your site and all of your invaluable information. 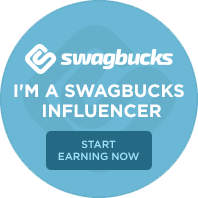 Since I took your class, I have earned 739 swag bucks that I am saving for a rainy day. My first shopping trip to Winn Dixie, I saved $125 because of all of your wonderful advice. Thanks for helping me save my family money on the necessities so that we can have extra funds to “play”. I appreciate the time you took to make a difference in our lives. -Stephanie D.